Sour Sorbet by DNA Genetics is nicknamed the “Original Sorbet” because of her distinctive flavour that has won over many cannabis connoisseurs. She is an excellent choice for all those who love the flavour of Sour Diesel, which has been masterfully blended with DNA Genetics’ Sorbet line to create this cultivar. Get ready for a true mouth-watering smoking experience! 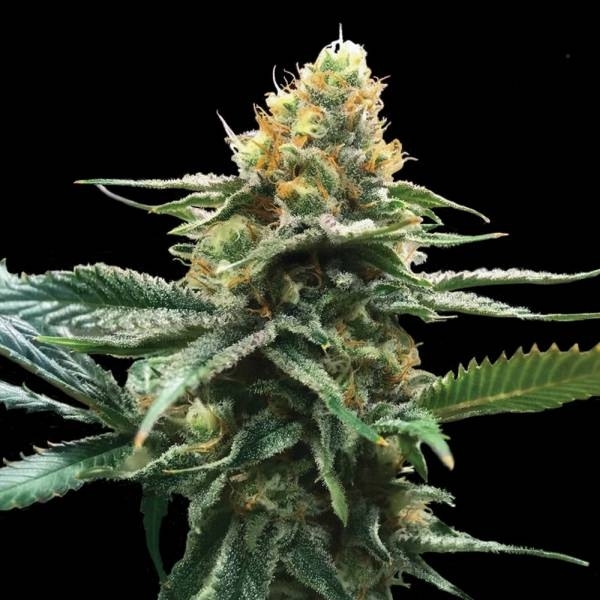 To make Sour Sorbet, DNA Genetics took an old favourite, Sour Diesel, and crossed her with an outstanding specimen from their very own Sorbet range. Out comes a great indica-dominant hybrid that shines with very good yields, fast growth, and an incredible taste! This 60% indica grows into a medium-tall plant. Due to her short vegetative phase, she can flower a little longer. In about 9 weeks, sometimes a little more, she will be brimming with tons of large and densely packed buds, bringing about 500g/m² to the table. What’s more, her fat buds will be covered with thick layers of frosty resin that, thanks to her great terpene profile, emanate an intense and very tempting scent. This makes Sour Sorbet an excellent choice for hash-making and concentrates. Your taste buds will be in for a true treat when you smoke Sour Sorbet. She blends Diesel notes with the creamy notes of Sorbet for a mouth-watering sweet 'n' sour tang that will make it difficult to put the lady down once you get your first taste! Perfectly with this highly enjoyable taste goes her effect. She starts you out with a nice uplifting buzz that gradually evolves into an awesomely relaxing euphoria. This happy smoke will put a smile across your face in no time! Sour Sorbet by DNA Genetics offers all you could wish for from an outstanding indica hybrid. Plant your seed and have a toke, and don’t miss out on what this girl has to offer!